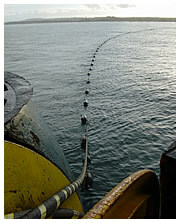 State regulators are looking into whether an undersea power cable between Maui and Oahu would be in the public’s interest. The Hawaii Public Utilities Commission is inviting the public to comment on the cable at meetings today at Farrington High School in Honolulu and Thursday at Pomaikai Elementary School in Kahului. Associated Press. The U.S. Supreme Court has upheld Hawaii's reapportionment plan that leaves out some military personnel and students when calculating population and determining state legislative districts. The justices affirmed a lower court ruling without comment today. Associated Press. Gov. Neil Abercrombie will address the Legislature this morning in his fourth State of the State address, in which he is expected to tout Hawaii's economic recovery while setting the stage for his re-election bid this year. The speech, set to begin at 10 a.m. in the House chamber of the state Capitol, will likely include Abercrombie's proposal to raise the state's minimum wage and for state-funded preschools. Star-Advertiser. Governor Neil Abercrombie will lay out his administration's focus for the next year during the State of the State Address Tuesday morning, and one of the key issues he's expected to touch on is Hawaii's rapidly growing elderly population. Hawaii News Now. Hawaii lawmakers last week started hearing bills to boost government transparency, improve elections and hold public officials more accountable. In the first week of the 2014 legislative session, one of the many so-called good-government bills has already cleared its final House committee and is headed to a final vote before all the reps. House Bill 1072 would make public the financial disclosure reports filed by the University of Hawaii Board of Regents. Civil Beat. Lawmakers Seeking to Outlaw 'Conversion Therapy' in Hawaii. Civil Beat. U.S. Rep. Colleen Hanabusa, who's trailing her Senate Democratic primary opponent U.S. Sen. Brian Schatz by 2-to-1 in fundraising, got some high-powered help Monday when she opened her campaign headquarters along Beretania Street in Chinatown. Hawaii News Now. 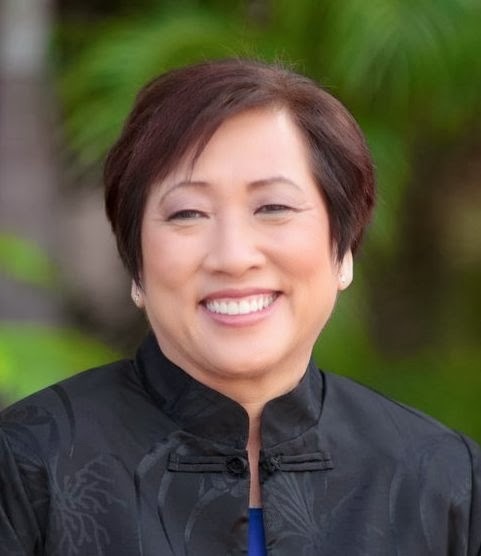 With the announcement Saturday of former state Sen. Russell Kokubun as Big Island campaign chairman, U.S. Rep. Colleen Hanabusa increased her Hawaii Island presence in a Democratic battle for U.S. Senate that has captured national attention. West Hawaii Today. The recent death of a 3-year-old girl who went into a coma after visiting the dentist’s office raises questions about the regulation of children's dentistry in Hawaii and whether the state is doing enough to prevent a similar incident from happening in the future. Civil Beat. Three Hawaii resorts on Maui and the Big Island and two restaurants in Honolulu have earned AAA Five Diamond ratings for 2014, while 20 hotels and resorts and eight restaurants have been given with the organization’s Four Diamond rating. Pacific Business News. People talk about Hawaii as a racial melting pot but for many years club bigotry was common. Civil Beat. Consumers who selected a health or dental plan through the Hawai'i Health Connector by Wednesday are reminded about upcoming premium payment deadlines for coverage that begins Feb. 1. Maui News. The crack down on corruption at Halawa prison will likely mean more arrests. Hawaii News Now has learned that up to a dozen workers at the state's maximum security prison are being targeted. That comes on the heels of the recent arrest of prison guard James Sanders, who is accused of smuggling in crystal meth to prisoners. North Shore residents affected by coastal erosion braced themselves Monday for what could be the largest ocean swell in a decade. Star-Advertiser. Hawaii tourism is expected to fly higher this year with the addition of scheduled nonstop service from Beijing to Honolulu. Air China, founded in 1988, brought its first group of 270 visitors, including top airline officials, travel agents and Chinese media, to Hawaii on Monday. Star-Advertiser. The Army is studying a potential biofuel-capable power plant at Schofield Barracks. The public has an opportunity to provide input on alternatives, potential environmental impacts and other issues of concern that should be included in an environmental impact study. Public scoping meetings will be held Feb. 5 at Mililani Mauka Elementary School and Feb. 6 at Wahiawa District Park. Associated Press. If you live on Oahu, you may not think it's that out of the ordinary. But Honolulu is the only county left in the state where you'll still see plastic bags used in grocery stores. An estimated tally finds 400 million plastic bags are used each year on the island of Oahu. KHON2. Some city officials want to flip the "pave paradise, put up a parking lot" notion on its head by transforming on-street stalls into parks and plazas. Resolution 13-290, asking the Caldwell administration to establish a demonstration project for "parklets" around Oahu, was approved by the City Council's Transportation Committee on Thursday. The full Council will vote on it Jan. 29. Star-Advertiser. The rhino beetle has surfaced on Oahu. They're ugly to look at, and what they do to palm trees is even uglier. KITV4. A senior Pearl Harbor shipyard manager says he was falsely accused of espionage, taken off the job in March and has not been paid since July — even though an investigation cleared him of the "foreign influence" allegations. Gerald "Gino" Palermo, a former submariner who has worked in the shipyard since 1981, most recently in the "Code 930" mechanical group as a process manager, said he was cleared in June of allegations involving contact with several Chinese women and a Japanese female. Star-Advertiser. A Hawaii House member from the Big Island is introducing five bills designed to keep hunting lands intact and promote the culture of hunting to children and others. Rep. Cindy Evans, North Kona and Kohala, said Friday that hunters should be recognized as conservationists who care about the land and wildlife. Associated Press. It’s been a whirlwind first week for newly minted state Rep. Richard Creagan, who was appointed Jan. 10 to the District 5 post vacated by former state Rep. Denny Coffman. West Hawaii Today. Drug reform in Hawaii will be the topic of two talk-story sessions on the Big Island. Hosted by the Drug Policy Action Group and Medical Cannabis Coalition of Hawaii, the meetings are intended to highlight marijuana-related legislation before the state Legislature and take input on ways to improve the Aloha State’s medical marijuana program, according to the groups. Tribune-Herald. It’s been several years since a group of more than 20 Waikoloa residents gathered in the home of state Rep. Cindy Evans to ask for a library, but plans for the community’s first library are finally under way for 2014. Tribune-Herald. Hawaii County Mayor Billy Kenoi joined 280 of the nation’s mayors at the U.S. Conference of Mayors 82nd Winter Meeting on Monday in Washington, D.C. Kenoi, chair of the Hawaii Conference of Mayors, will the meeting with Honolulu Mayor Kirk Caldwell, Maui Mayor Alan Arakawa, and Kauai Mayor Bernard Carvalho. Tribune-Herald. Longtime politician and former Maui County Mayor James "Kimo" Apana has announced his intent to run for the state House District 9 seat, which covers parts of Central Maui and is now occupied by political newcomer Justin Woodson. Maui News. When the Hawaii Center of Independent Living shuttered all five of its Neighbor Island offices in July, Nani Watanabe, an independent living specialist working at the Wailuku office, thought, "Here we go again." Maui News. Public input is being sought on a Community Wildfire Protection Plan for the West Maui Community. The non-profit Hawaiʻi Wildfire Management Organization, in collaboration with the West Maui Fire Task Force, is hosting a series of meetings this month to gather comments and suggestions. Maui Now. The County of Kaua‘i Division of Purchasing has issued a professional services solicitation to procure pro bono legal representation in a lawsuit filed against the County relating to Ordinance 960, regulating pesticides and GMOs. Hawaii Reporter. The Hawaii Department of Health is refuting a study that reportedly found high levels of metals found in sediment samples in and around Hanalei Bay. Dr. Roger Brewer, a senior geologist with the DOH’s Hazard Evaluation and Emergency Response Office, said there is no indication of any contamination in the samples. Garden Island. Retired sugar industry executive and former Office of Hawaiian Affairs trustee Donald Bruce Cata­luna has died at the age of 77, leaving a legacy of service beyond the plantation. Born in Koloa, Kauai, Cata­luna worked almost every job on the sugar plantation, from taking care of the pack mules to managing some of the largest plantations in the islands. He spent his career with C. Brewer & Co., becoming one of the industry's first part-Hawaiian plantation managers. Star-Advertiser. A storyteller, public servant, family man and instructor whose mind was a trap for details. Friends and family reflected on the life of Donald Bruce Cataluna on Monday after the retired sugar industry executive and Kauai native died Saturday from natural causes. Garden Island.